80ft length, recently accommodated a 70 ft boat. Has electric and water. Very close to turn basin . 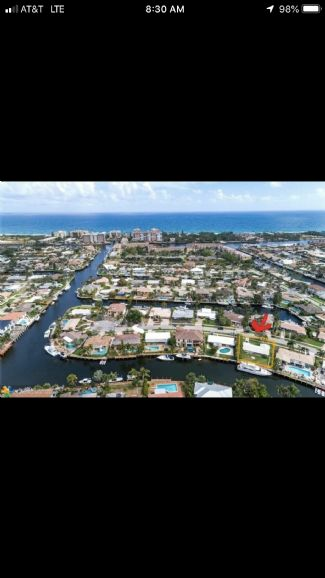 Approx 1/4 mile to intracoastal , wide canal, no fixed bridges, safe Lighthouse Point cul de sac home. Access to small home on property negotiable .